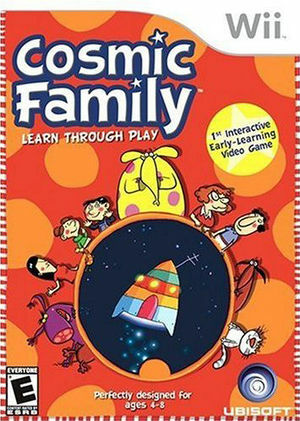 In Cosmic Family meet Mom and Dad Cosmic, Big Sister, and the two small children, the crazy dog, the lazy cat and the colorful monsters. Enjoy their cosmic way of life as you explore the five floors of their rocket home and select your favorite room. Use your magic wand on whatever catches your eye to reveal crazy animations, funny stories and playful mini games. The graph below charts the compatibility with Cosmic Family since Dolphin's 2.0 release, listing revisions only where a compatibility change occurred. This page was last edited on 18 January 2018, at 00:35.